This beautifully textured cushion in linen has intricate cord embroidery in a contrast colour with piped edges. 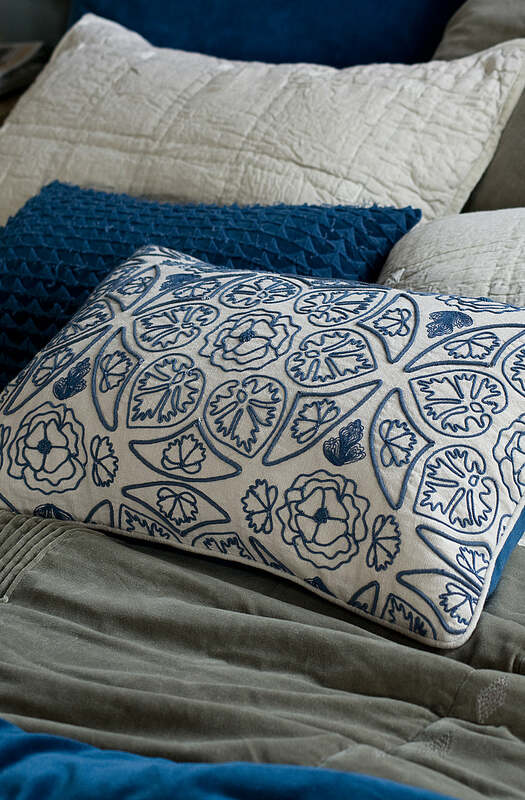 A perfect cushion for any space. Duck feather inner included.